Scott Stursa, author of the recently published book Distilled in Oregon, shares his interests and processes for researching with local historic resources, including Historic Oregon Newspapers online! 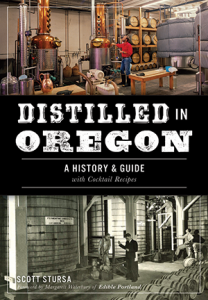 Distilled in Oregon details the history of spirits distillation in the state, beginning with the “Blue Ruin” being manufactured by fur traders during the 1830s and 1840s. It traces the development of commercial distilling during the nineteenth century as well as the prohibition movement that ended alcohol production in 1916. The Prohibition period was rife with moonshining, and the operations of a couple of practitioners is described. 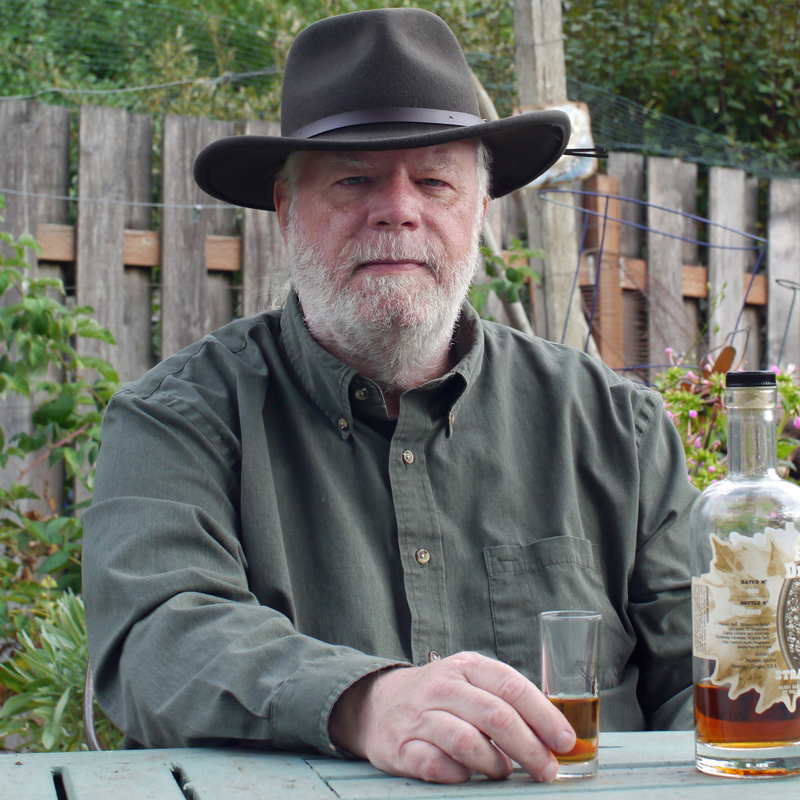 A history of Hood River Distillers (opened 1934) is followed by one of Clear Creek Distillery (1985). The final portion of the book covers the rise of the craft distilling movement in Oregon, with a number of notable distilleries described in detail. During a 40 year career in Information Technology, writing was a hobby until my retirement in early 2016. I’m now able to devote more time to it. I’ve had an interest in gourmet food and drink since my late twenties (early 1980s) and the interest in craft distilling is a facet of that. After arriving in Oregon in 2007 I became acquainted with a local craft distiller and decided to write a book on the topic. The World Wide Web was instrumental in not only finding the content of primary source accounts (digitized books [both old and new], newspaper articles, online media reports, etc. ), but also provided the names of out-of-print books (which I could find and buy via Amazon), and catalogs of the contents of historical archives. These last allowed me to visit historical archives (from Medford to Seattle to The Dalles) with a list of requested resources. What did you use in Historic Oregon Newspapers online? How did you use the site and which newspaper titles were useful to you? Old articles describing the construction, operation, and fate of various distilleries around the state, along with advertisements placed by distillers and liquor retailers. Google Advanced Search was used, restricting the domain to oregonnews.uoregon.edu and inputting various relevant keywords such as distillery, moonshine, whiskey, etc. * Probably the one most useful title was The Oregonian. It was available at a number of retail outlets around the state (ranging from Powells to Costco). Most of these have sold out, but it can be ordered from Amazon or from the publisher (Arcadia/History Press). Currently working on a book about the history of wine making in Oregon. Thank you for sharing, Scott! We are looking forward to your next publication. *The Historic Oregon Newspapers website also features advanced search functionality! ‹ Forthcoming book about Coquille features ODNP newspapers!